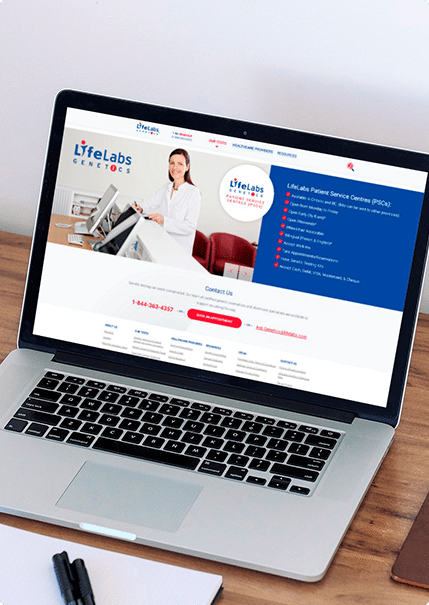 Operating the country’s largest professional genetics testing laboratory, LifeLabs Genetics is at the forefront of genetic testing and personalized medicine in Canada. 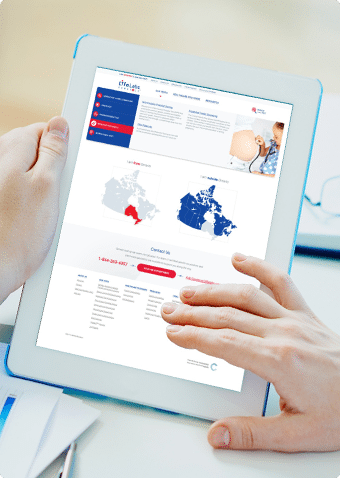 As a Canadian-owned healthcare company that has been in business for over 50 years, we are committed to continuous medical innovation. 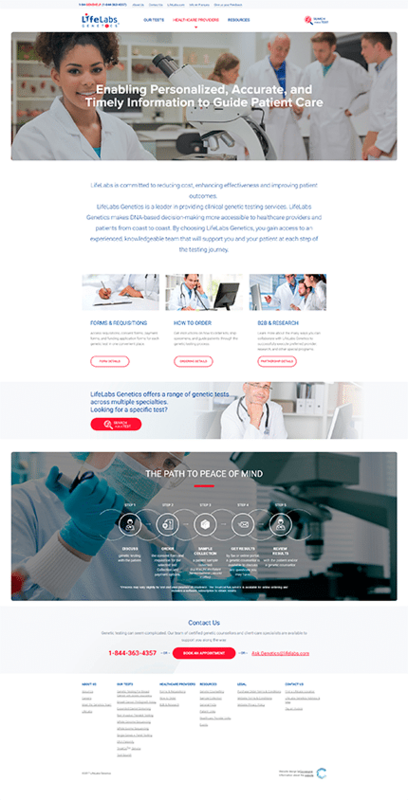 With white space, clean lines and a professional colour palette, this modern design promotes the trustworthiness and authority of their business. The imagery is engaging and relatable, building trust and giving potential customers confidence in their expertise. Designers shooting for usable is like a chef shooting for edible. The large drop-down menu is always accessible, ensuring easy navigation throughout the site, guided by clearly marked sections catering to different audiences. Additionally, the smart search function helps customers to find the right services for their needs. 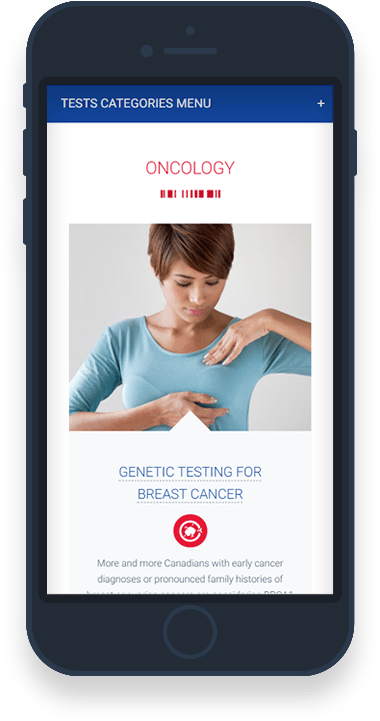 The ability to securely make to bookings and access test results online gives customers peace of mind as well as the convenience of having their records close at hand. 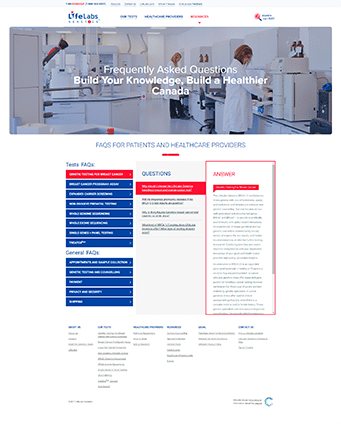 Each service has its own page dedicated to demystifying the science and process behind each test. 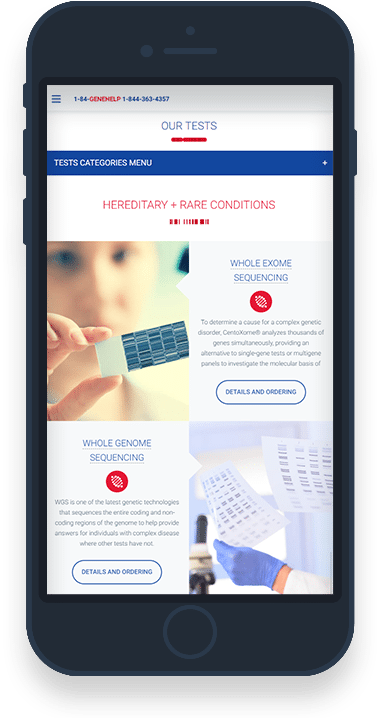 With comprehensive FAQs, research-backed statistics and step-by-step information on how to order, customers will feel confident using LifeLab Genetics state-of-the-art services. The streamlined mobile experience means that customers can access vital information at a moment’s notice. 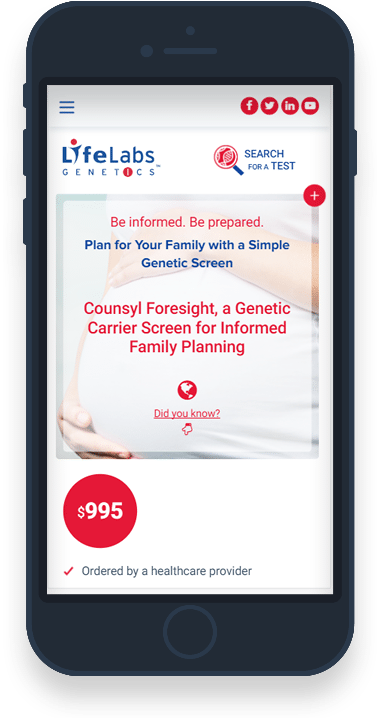 The responsive design effectively collapses detailed information into scannable categories, ensuring the user is not overwhelmed when using a device with a smaller screen. 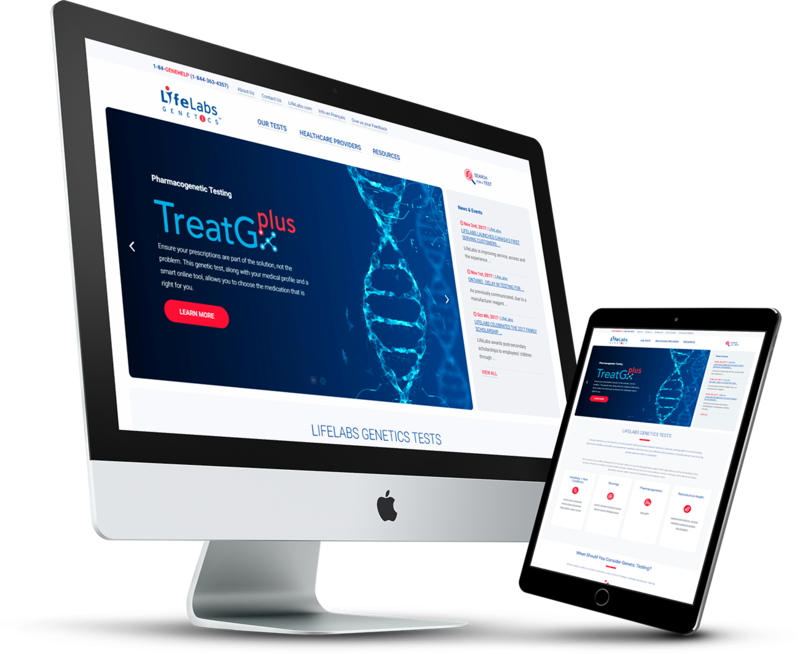 The result is the best genetics services website in Canada, reflecting the high quality services, scientific expertise and sensitive, ethical customer care that LifeLabs Genetics prides itself on.